I grew up as a child in the 1960s. Back then, I loved to play with Mr. Potato Head. But we actually used real potatoes as Mr. Potato Head’s body. 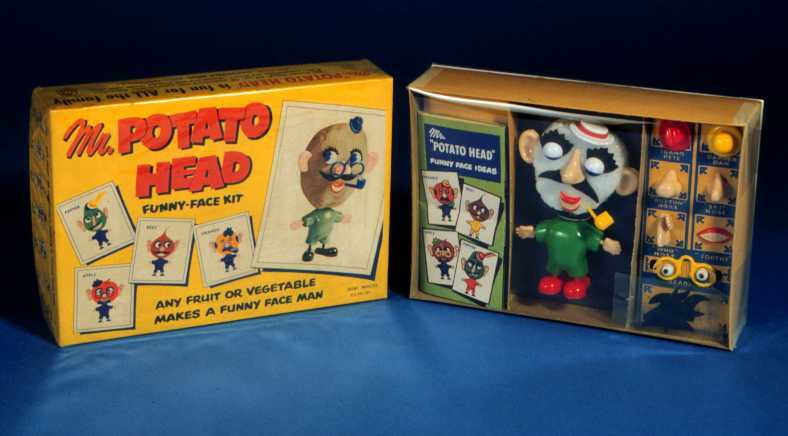 In the 60s, Hasbro was forced due to government regulations to start making the Mr. Potato Head parts less sharp, which therefore made the parts harder to puncture real potatoes. 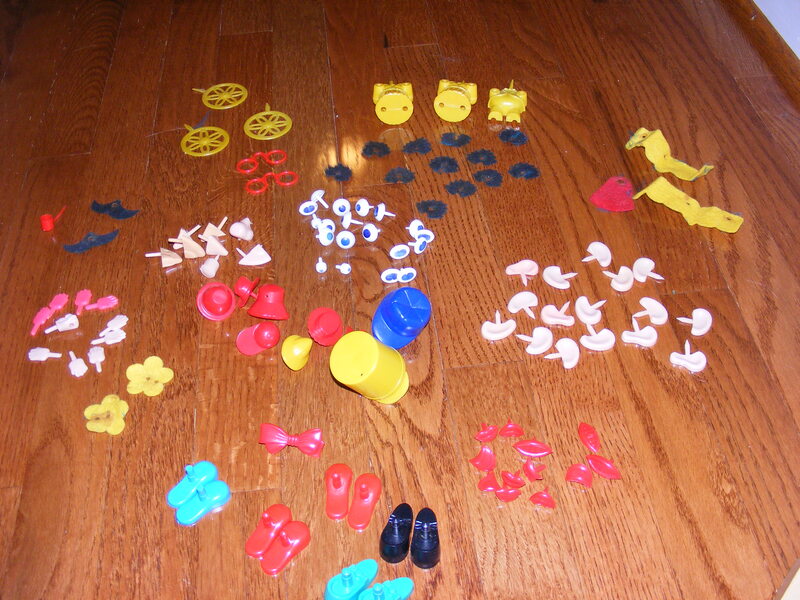 Also, the small parts were a choking hazard to small children. So in 1964, Hasbro came out with the plastic Mr. 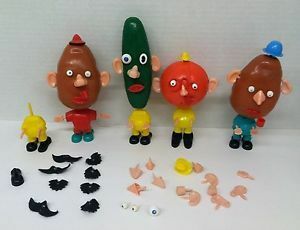 Potato head and other plastic veggies. I never thought the plastic potato body was as much fun to play with. I preferred using a real potato for the body. I still remember the day I ordered my box of Mr. 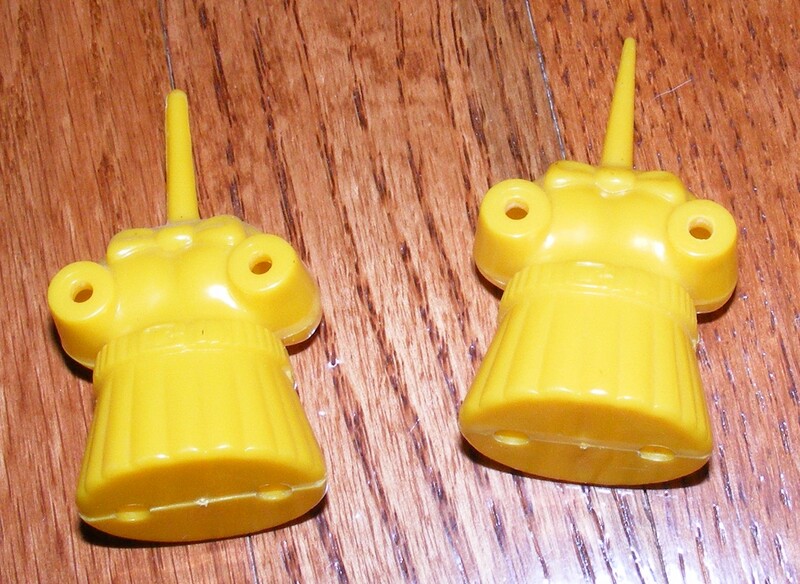 Potato Head parts from Hasbro from the back of a magazine. I still have them… and the box they came in. In this box were various eyes, mouths, noses, ears, and bodies to stick into the potatoes. And there were various accessories like eyebrows, mustaches, pipes, eyeglasses, hats, and shoes. It was fun coming up with my own unique creations. I played with Mr. Potato Head quite a bit during my childhood days and he kept me easily entertained for hours. One day, while in the middle of playing, I slid my Mr. Potato Head creation into a shallow, lidless box under my bed. I’m sure my goal was to pull him back out a short time later to continue on with my masterpiece. And yes, you guessed it, I forgot about that potato under my bed. Fast forward a few weeks. My mother was in my bedroom and walking by the bed when she just about swore that something reached out and grabbed her around the ankle. We laughed about that for years. She lifted the bedspread to get a closer look, and there under the bed (much to her surprise and horror I’m sure) was a wrinkled, brownish gray potato with over 2 foot long cream-colored sprouts which were winding and curving all over the place. My mother never let me forget that day and how she had pulled that highly decorated and sprouting potato out from underneath my bed. The things kids do. Why in the world that potato didn’t stink to high heaven, being under that bed all those weeks, I’ll never know. 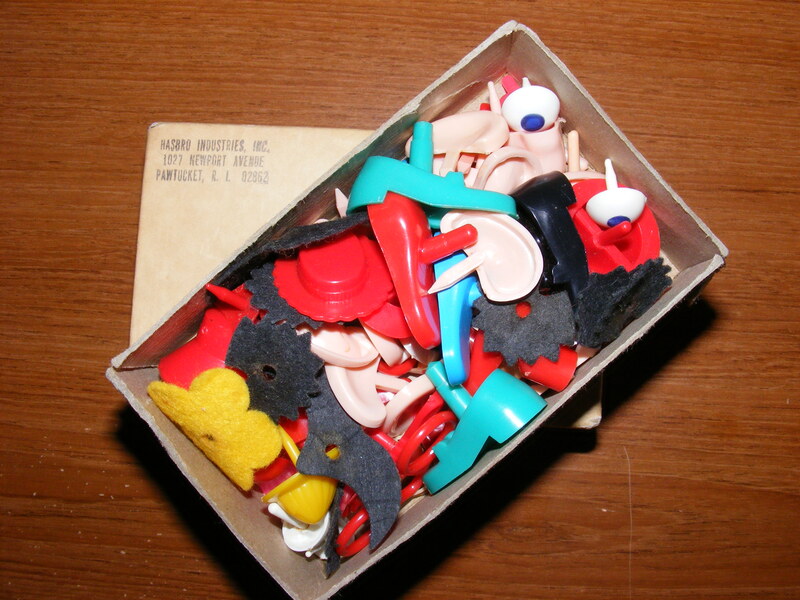 This entry was posted in Childhood memories and tagged 1960s, childhood, Hasbro, Mr. Potato Head, Mr. Potato head plastic parts, sprouting potatoes. Bookmark the permalink. Yeah, those plastic Mr. Potato Heads just never appealed to me.